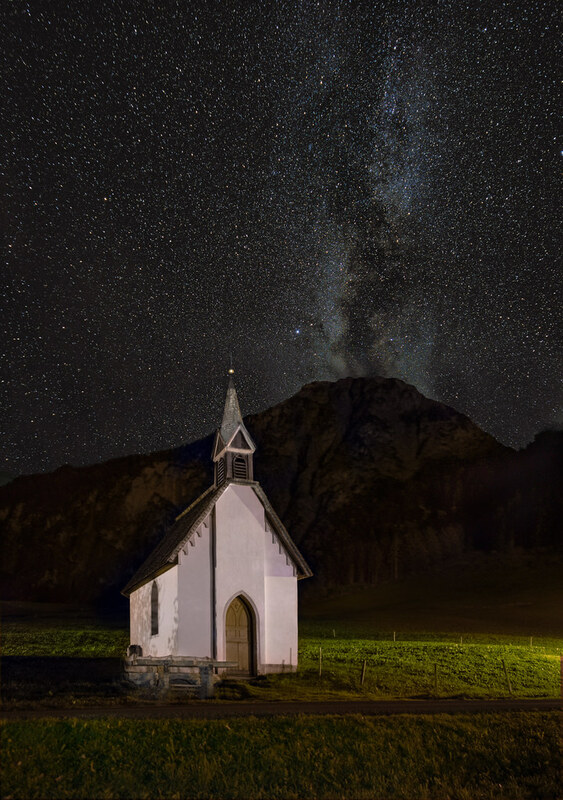 Hiking in the Austrian Alps I used the Astrotracer function of the K3ii for an image with the Heart-of-Jesus Chapel and the Milky Way above the Mottakopf mountain in a little village named Brand. The final image consists of 20 x 60 s with the Astrotracer for the stars and 8 x 30 s for the foreground. The stars were stacked with the freeware Sequator (great! program) and the composite was arranged and postprocessed in Photoshop CC2018.